So delicious and healthy! I just love this option for dinner. Mexican burrito boats give you all the flavor without any of the chips, tortillas or taco shells. 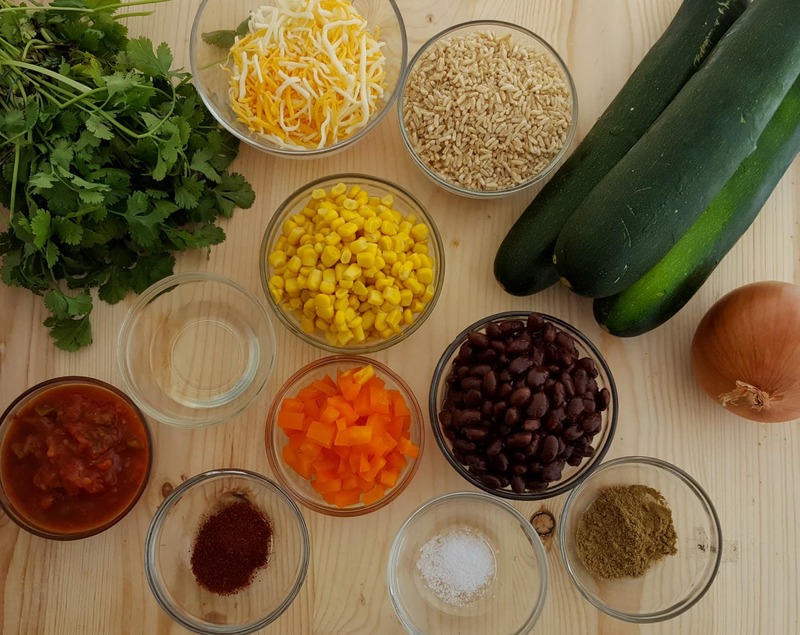 You can still enjoy the best ingredients … just without all those unnecessary carbs and calories. Make these tonight! Your family will thank you (and ask for seconds I am sure!) HA! Preheat the oven to 400 degrees F. Grease a 9×13” casserole dish and set aside. Slice each zucchini in half, lengthwise. 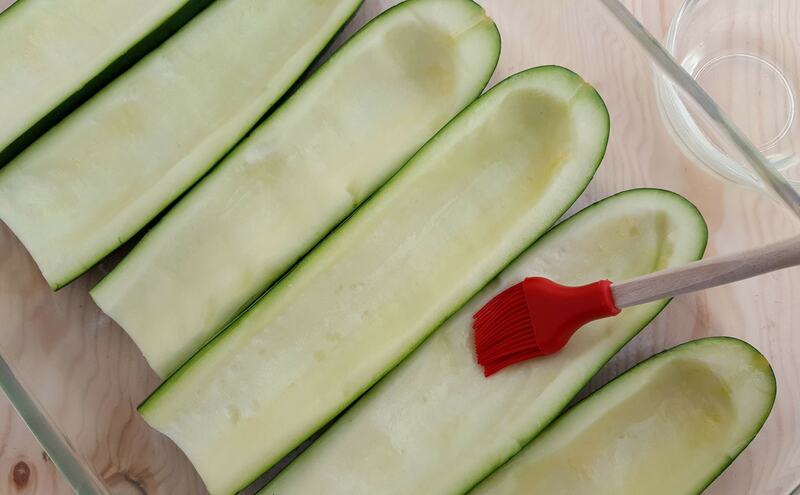 Using a metal spoon or melon baller, hollow out the center of each zucchini. Lightly brush the tops with one teaspoon of olive oil, and place them skin side down in the casserole dish. Warm the tablespoon of olive oil in a large skillet over medium heat. Add the onion and peppers and cook for 2-3 minutes. 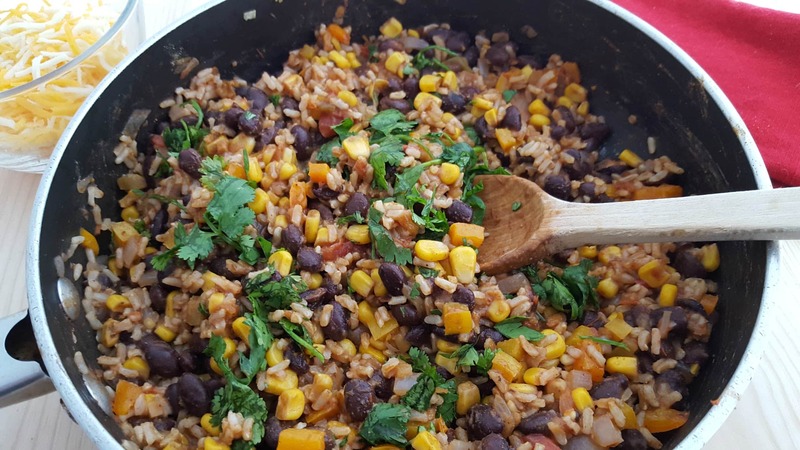 Then, add the rice, corn, and beans, followed by the salsa and spices. Stir everything together and continue cooking for 5 additional minutes. Remove the skillet from the heat and set aside. Blend ¼ cup of the fresh cilantro into the filling. 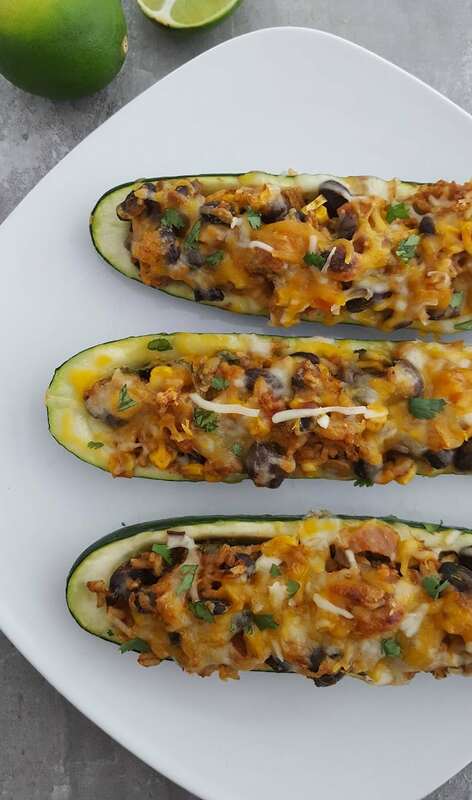 Spoon the filling into the hollowed zucchini halves until they are all full. Sprinkle each with cheese and cover the dish with foil. Bake in the oven for 25 minutes, then remove foil and set the oven to broil. Cook for 5 more minutes, until the cheese is bubbly and golden brown. Allow them to cool for 5 minutes, sprinkle on the remaining fresh cilantro and serve.